I decided to make a cowl for The Boy, as a) the weather is turning colder and b) he tends to try to confiscate any cowls I make for other people and c) I needed to move this yarn out of my stash as quickly as possible because I really shouldn’t be buying yarn but this was on sale 50% off plus I really needed to support my local yarn store, right? The Boy likes squishy, comfortable things, and while I thought about doing a brioche stitch, I’m also in the countdown to holiday knitting, and yet I still wanted to whip this up quickly in time for his birthday next month. So Fisherman’s Rib it is! 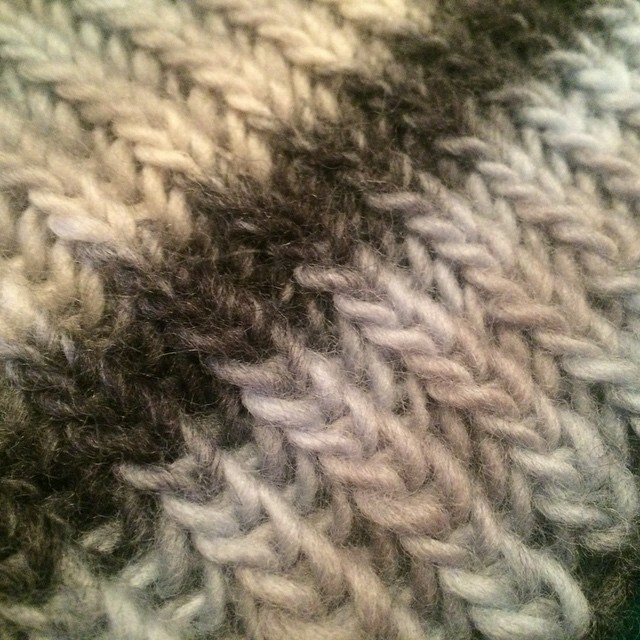 Cast on an even number of stitches, and work one row of k1, p1 ribbing. I used a tubular cast-on, so mine was set to go as soon as the cast-on was completed. Repeat these two rounds until ready to bind off – knit one row of k1, p1 ribbing, then bind off loosely.